When you find the perfect home, you just know it. And not because it has the perfect number of bedrooms or the open kitchen you’ve always wanted. You know because, from the first time you walk in the door, you picture its walls covered in framed photos of where you’ve been and its rooms full of all the people you love the most. You know it’s right because you can feel it. 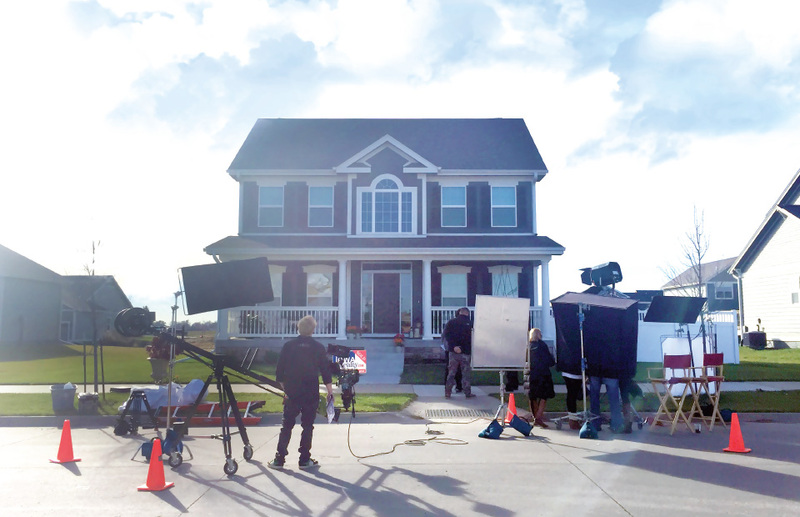 In a series of TV spots created for Iowa Realty, we put this emotional side of the home-buying process on display, letting viewers know that, in addition to being the largest realty firm in the state, Iowa Realty is the company you can trust to help you find exactly what you’re looking for. In order to capture all of the joy, anticipation and pride in a way that felt honest and true, we included as many authentic elements as possible. In order to capture all of the joy, anticipation and pride in a way that felt honest and true, we included as many authentic elements as possible. Rather than following our usual casting protocol, for example, we searched for real families that would fit the part and add a sense of realism that can only come from true, heartfelt interaction. The homes were carefully selected and styled to match the theme of the script and the feel of the family. And instead of talking about the magic of finding “home sweet home,” we showed it through familiar slices of everyday life. Our number one goal from the start was to craft something that would connect with viewers on an emotional level while avoiding overly-scripted dialogue and situations. So, while our scripts told stories that were heartwarming in their simplicity, creating that candor required great attention to a surprising number of subtle details. Despite needing to be produced in November, the homes had to look like spring had just sprung – even if it meant creating our own flower garden (which we did). The music, and the mood, had to be just right. At every turn, details proved to be the key to ensuring that everything we produced radiated authenticity.